Security Council resolutions have undergone an important evolution over the last two decades. While continuing its traditional role of determining state-specific threats to peace and engaging accordingly in various peaceful or coercive measures, the Security Council has also adopted resolutions that have effectively imposed legal obligations on all United Nations member states. 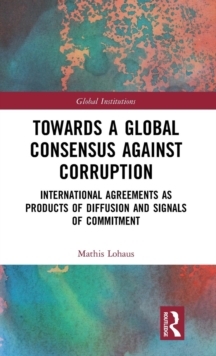 This book seeks to move away from the discussions of whether the Security Council - in the current composition and working methods - is representative, capable or productive. Rather it assesses whether legislative activity by the Security Council can be beneficial to international peace and security. The authors examine and critique the capacities of the Security Council to address thematic international threats - such as terrorism, weapons proliferations, targeting of civilians, recruitment of child soldiers, piracy - as an alternative to the traditional model of addressing country-specific situations on a case-by-case basis. Ultimately, the book seeks to assess the efficacy of the Security Council as global legislator in terms of complementing the Security Council's mandate for the maintenance of international peace and security with a preventative and norm-setting capacity. 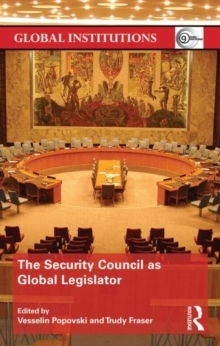 The book presents views from a diverse range of Security Council stakeholders including academic scholars, political analysts, and international lawyers. This resource will be of great interest to students of international relations, international organizations and international security studies alike.